Peter modeled for a group of fellow artists I paint with at The Woodlands Art League in The Woodlands, Texas. Fellow artist, Pam Schrader invited Peter to model. There were five artists painting that day. I really loved how his face was turned away from the light but caught brightly on his ear and nose. 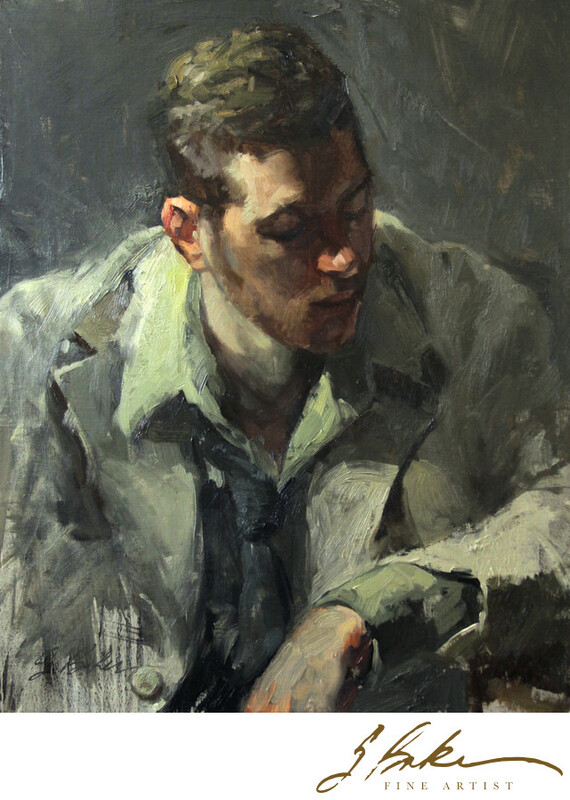 His posture, loose tie and rumpled jacked evoke a weary mood which I tried to catch in this painting.